My Nu‑book is an ereading platform that gives book readers the opportunity to read the ebooks they have acquired on a variety of different iOS and Android devices as well as Mac OS and Windows desktop computers. A book publisher offers a complimentary ebook when you purchase the print copy of book. A book publisher offers its entire front and back lists directly within the My Nu‑book platform. Purchase a print book, which has a My Nu‑book label on its cover, from your favorite bookstore. As a bonus, you will have access to the digital version of your book, depending on the criteria the publisher has established (supported devices, format, and for how long you may access the ebook). 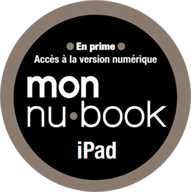 Download the My Nu‑book app here, depending on what device or desktop computer you want to read your ebook on. 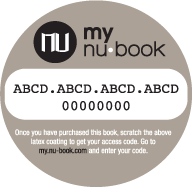 Create a My Nu‑book account to access to your ebook. This account enables you to manage your digital library, add more ebooks, access ebook updates, and receive technical support tailored to your needs. Enter the token that you discovered by scratching the label located within the print book you purchased. Within seconds, you’ll get access to your ebook! Visit the website of one of the many publishers that offer their ebooks via the My Nu‑book app. Purchase an ebook you want to acquire. Log into your My Nu‑book account. Within seconds, you’ll be able to start reading! With My Nu‑book, you will re-discover your book in an entirely new way, in a sophisticated and user-friendly environment that offers great features to enhance your reading experience. For more information, email us at: info@mynu-book.com!